America's best-selling sedan just got better. This is the moment you’ve all been waiting for, the most hotly-anticipated Detroit Auto Show debut is finally here. 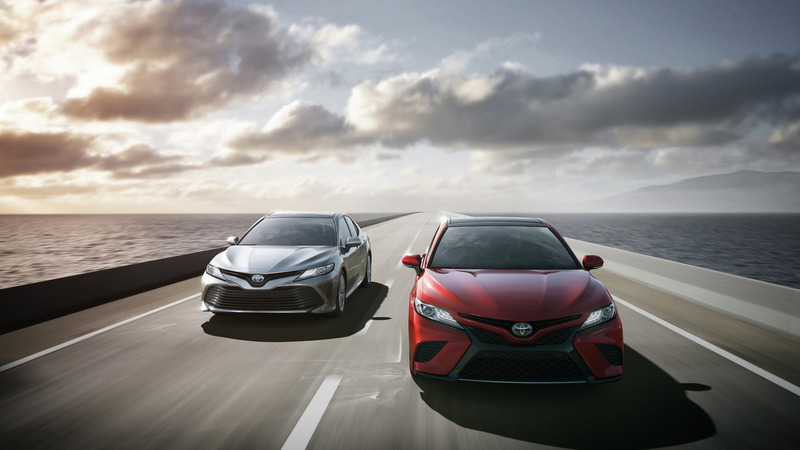 Sarcasm aside, Toyota says that its new Camry is the most aggressive, most advanced model the company has ever built – and we have reason to believe it. The eighth-generation of America’s best-selling sedan has received a serious makeover, from top to bottom. 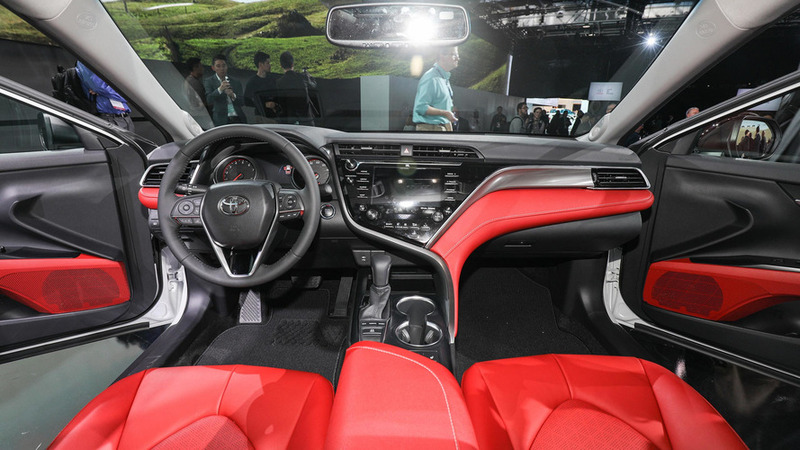 Putting to use the Toyota New Global Architecture (or TNGA), it’s more "athletic, and fun to drive" than any model before it, says the company. The wheelbase sees an extension of two inches (50.8 millimeters), bringing to total length to 191.3 inches (4,859.02 millimeters), while the lower roofline and hood have been dropped about 1.0 inch (25.4 millimeters) and 1.5 inches (38.1 millimeters), respectively. The seating position is lower too, the total height of the vehicle measuring in at just 56.7 inches (1,440.18 millimeters), and the cabin is more tailored to the driver. All that added athleticism pairs to an assortment of new and improved engines. A 3.5-liter V6 with D-4S Fuel Injection sits at the top of the range. 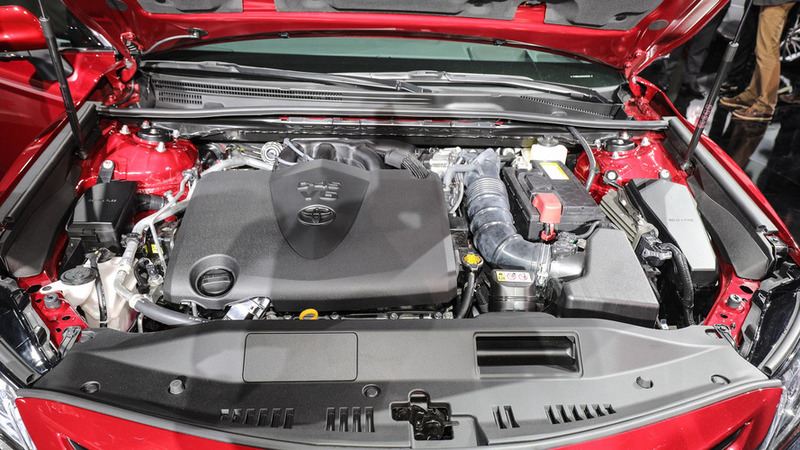 Down the line, a 2.5-liter engine pairs with an 8-speed automatic transmission, while an available hybrid model pairs that same 2.5-liter engine to the company’s new hybrid system – or as it’s so cleverly named, the next-gen Toyota Hybrid System (THS II) – and a CVT. 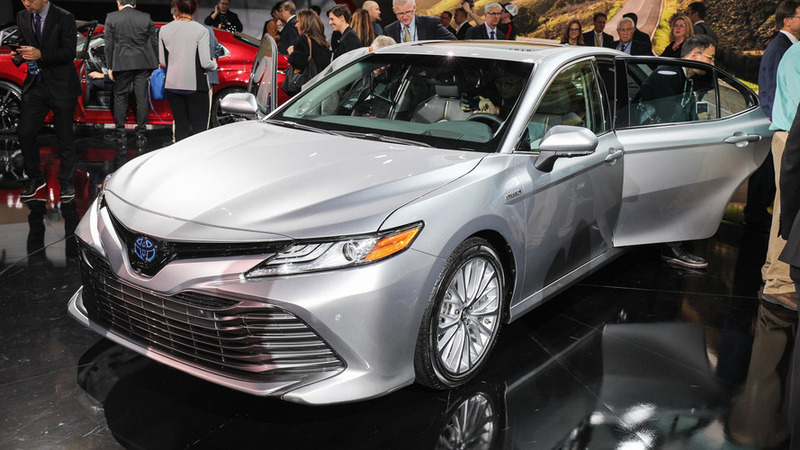 Though performance figures remain a mystery, Toyota is pretty confident that its new Camry Hybrid will achieve best-in-class ratings over competitors like the Accord, which gets an estimated 49 city and 47 highway mpg. Official details on horsepower and mpg should be released soon after the debut, if we’re lucky. 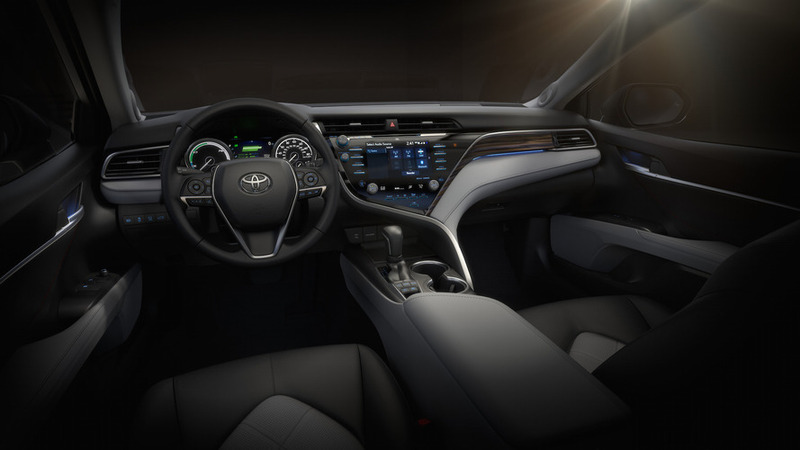 Apart from the new platform and new range of engines, the Camry gets a suite of standard safety features like pre-collision warning with pedestrian detection, full-speed range dynamic radar cruise control, and lane departure alert with steering assist. For a few bucks extra, buyers can tack on things like a blind spot minor with rear cross traffic alert, intelligent clearance sonar, and even a bird’s-eye view camera with perimeter scan. 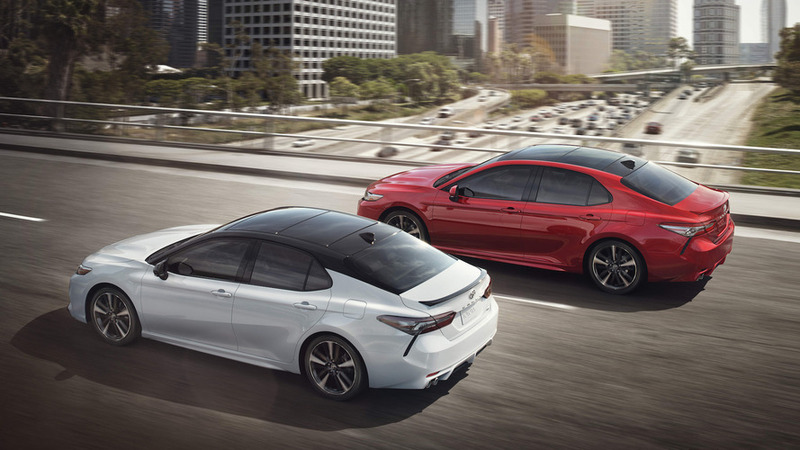 The new Camry will come in four trims when it goes on sale: LE, XLE, SE, and SXE, with the optional "Sport" package available for SE and XSE trims. The added "Sport" pacakge will supposedly give the exterior a more sculpted look with add-ons like 19-inch black alloy wheels, a subtle rear spoiler lip, aggressive bumpers, front and rear, and an integrated lower diffuser on the front fascia. Toyota says that the 2018 Camry was designed to be "more distinctive" than other Camrys before it, and should be "instantly recognizable… from as far as 200 yards away." 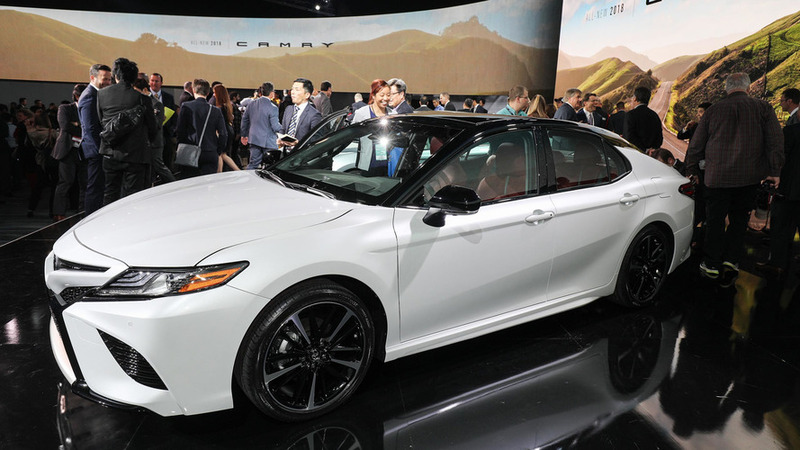 The sporty new sedan will make its debut at the Detroit Auto Show before it goes on sale later this summer. a more exciting and emotional character, thanks to its newfound sporty performance and style. y designs, engineers, and packages its vehicles. new engine, transmission and GA-K platform. image, creating a new approach to the market. new standard in the midsize-sedan category. stance that is undoubtedly more aggressive than that of any predecessor. 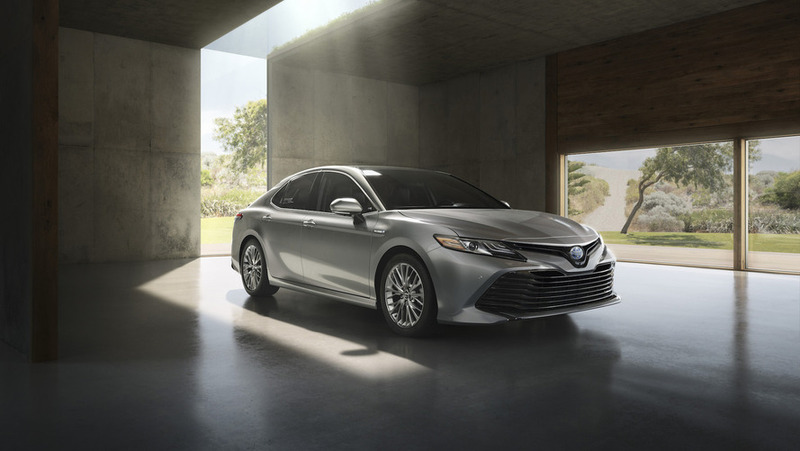 reimagined Camry a sportiness that’s never before been perceived on this model. incorporated a strong stance that can be seen as you walk around the car. provided by a newly designed Camry logo that gives the car an upscale identity. distinctive corner lines and smoke-tinted rear combination lamps highlight the changes at the rear. from as far as 200 yards away. one example of the high level of craftsmanship found throughout the vehicle. between the HMI system and other digital media. that are more dynamic, athletic, and fun to drive. height have all been lowered for enhanced outward visibility. noticeable sense of openness when the driver sits behind the wheel. a high-performance automated manual gearbox. benefit of the TNGA platform. application of a new molding technology it delivers enhanced structural rigidity. harshness (NVH) from permeating into the passenger compartment. within the first few seconds of driving. Monitor (BSM) with Rear Cross Traffic Alert (RCTA). equipped with a standard backup camera. models, offering an enhanced set of connected vehicle technologies. of recently added roads and point-of-interest not contained in the existing head unit map. 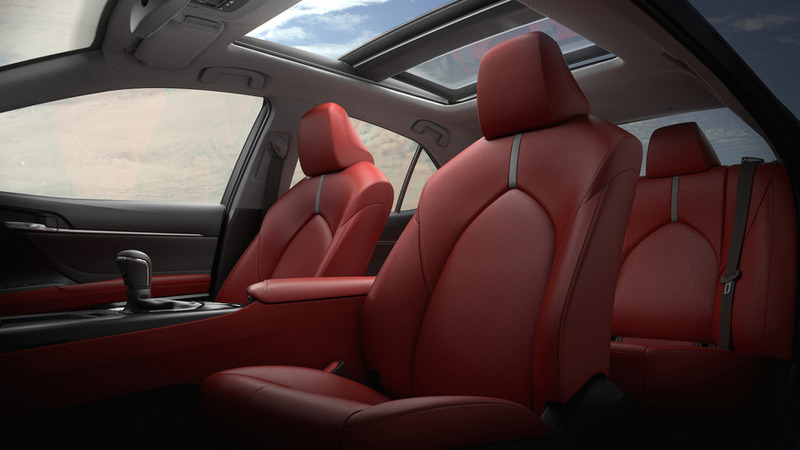 specifically tuned to the Camry’s cabin dimensions and materials.